This week’s French Fridays with Dorie recipe was simple and delicious. Toss some oil and freshly squeezed lemon juice over cooked asparagus. Top with bits of bacon and finely diced onion. What’s there not to like!?! Can’t wait to see what the rest of the French Fridays with Dorie group thought of this dish and how they served it! 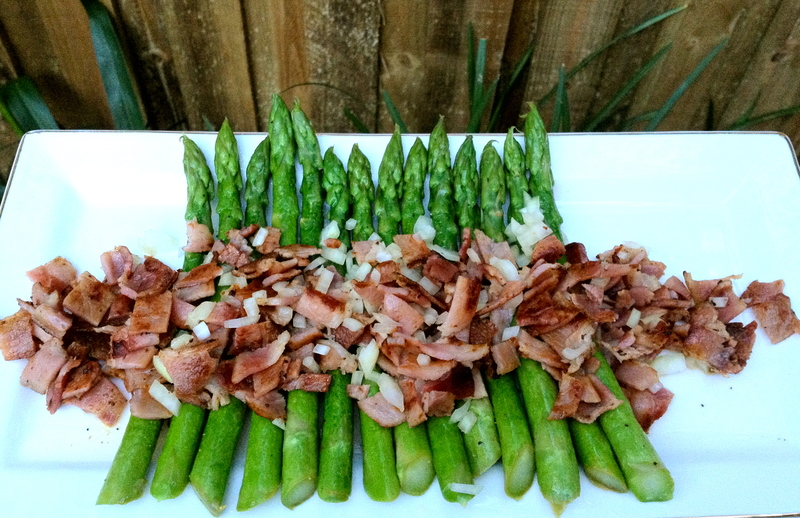 Tags: asparagus, bacon, cooking, food, french fridays with dorie | Permalink. My youngest has had streaks in every color of the rainbow – and has had her full head in every color imaginable as well. It’s been so many years since I have seen her natural blonde color, it’s not even funny. I was happy when she finally settled on a nice brown. Whew. Pink streaks are perfect for Easter or for Spring. My daughter just did purple…so fun. Your asparagus is beautifully presented. Your asparagus is so nicely arranged also! Delicious asparagus and cute streaks! Ok, I have black hair, but heading to sunny Palm Springs, so my hair dresser convinced me to get highlights…ugh. I did it but not quite sure yet. I loved the asparagus too, so easy and yummy! Lovely photos – the asparagus and the hair ! Very fun. With two sons I have bypassed most of the hair coloring issues but we spend many a day discussing length…..luckily I get no push back when it comes to offering up the “Dorie dishes”. Everyone loved this one and my 15 year old son declared this to be his favorite Dorie food yet. Wow. Agreed. This was so simple and delicious and yours looks so pretty. I hope you have a great Easter! Very nicely displayed! Your daughter is so pretty! Looks great! Will be trying this. You are so right, what’s not to like about this dish? 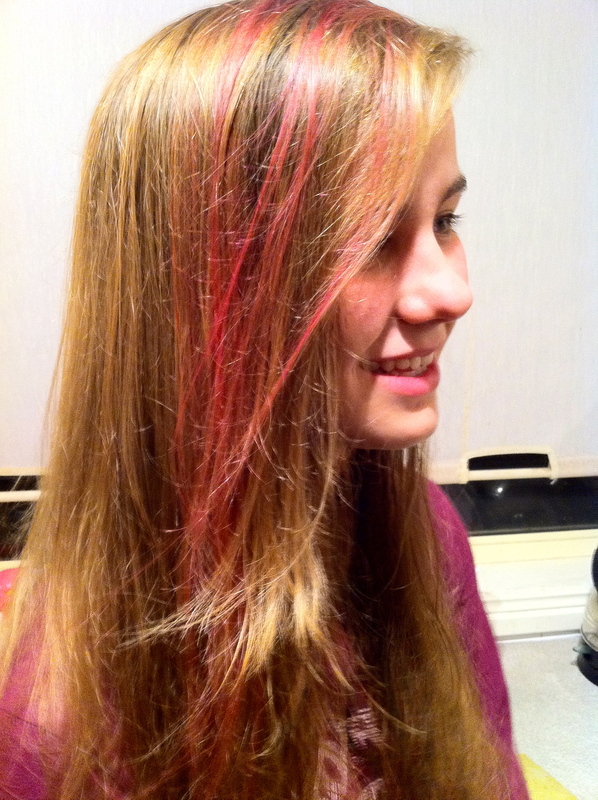 Love your daughters pink streaks. Happy Easter. Loved the streaks. My kids (8 and 10) went with blue! Since they are grandchildren, not children, I oouuuu’ed and ah’ed. Fun. Yes, the dish was simple and fun and delcious. On to sardines. Are you game? Lovely asparagus and pink streaks!!! How fun for the girls. Happy belated Easter, and anxious to see how your family likes the sardines.